Welcome to Lindsey Point: home of a haunted lighthouse, a 50-year old murder mystery, and a romance about to erupt between travel journalist Sophie Smithwaite and hunky local handyman Lucas Oakes. He wants to protect the town's secrets. She's bent on uncovering them at all costs. As the mystery deepens, sparks fly and legends crumble. Is preserving tradition worth giving up a chance at true love? Such an addictive read. I was drawn into the story immediately and couldn't put it down. Those that love mysteries, set in small towns, are going to love this book. 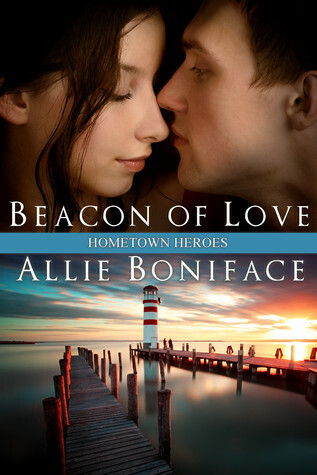 Beacon of Love is filled with loveable characters, romance, mystery and all the right elements to make it a great read. This was the perfect read for the miserable weather we're currently experiencing in my area. Nothing like curling up with a great book on a rainy day.